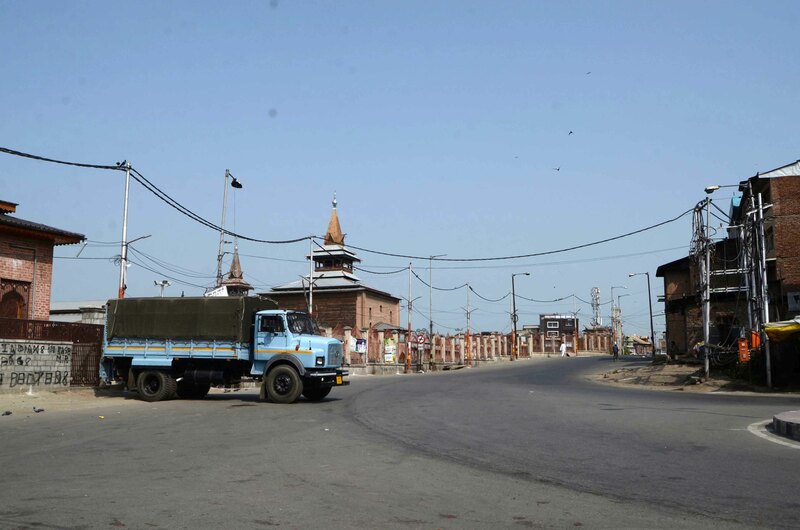 A complete shutdown is being observed in Kashmir valley following the shutdown call by Joint Resistance Leadership (JRL) against the civilian killings in south Kashmir’s Kulgam district. All the shops, business establishments, government and private offices including schools remained closed while traffic is off the roads. An official said that contingents of forces were deployed at sensitive locations in the parts of Kashmir to thwart any “element of violence”. The shutdown call had been given by the Joint Resistance Leadership (JRL), comprising Syed Ali Shah Geelani, Mirwaiz Umer Farooq, and Yasin Malik soon after an encounter in Kulgam village. The encounter ended up with the killing of three militants and seven civilians while over fifty civilians sustained injuries who were later referred to different hospitals for the treatment. Meanwhile, the Srinagar Banihal train services have been suspended while mobile Internet service remained suspended in south Kashmir parts on the second consecutive day.